President Peter Kammer and Government Affairs Associate Nels Rude lead the government affairs practice. 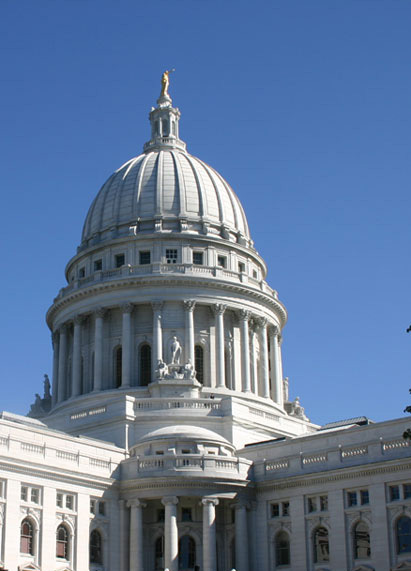 They have longstanding relationships on both sides of the aisle with nearly 30 years of experience working with Wisconsin government officials. Whether the issue is legislative, regulatory or procurement, they understand the process and have access to the officials allowing them to obtain the policy objectives of our clients. The Kammer Group's government contracts practice extends to all phases of the procurement process, including pre and post-award counseling. Whether your trade group needs help with a single service or requires the entire menu of management service, we have the experience to make it work.